Reaxys helps reduce the risk of late-stage failure by supporting modern, data-driven drug discovery and helping to optimize the properties and synthesis of pharmaceutical substances. 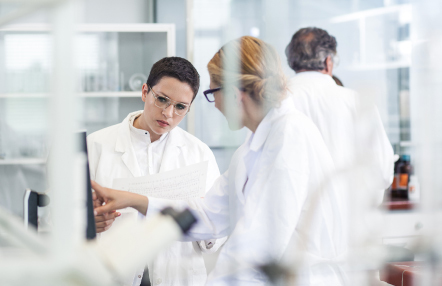 Early identification of the best candidates to advance to preclinical and clinical trials has a significant impact on the chance for success in drug development. It reduces the risk of costly late-stage failure, improves the safety of clinical trials and boosts the chances of successful market entry. Reaxys supports chemists involved in pharmaceutical R&D with relevant literature, accurate and comparable physicochemical and bioactivity data points, and tools to ensure that the data are easily incorporated into in silico modeling workflows. In addition, Reaxys helps chemists determine the optimal means to synthesize a drug-like compound, including information about sources for reagents, catalysts and starting materials. We’ve prepared a set of application notes showing how data from Reaxys and Reaxys Medicinal Chemistry can empower drug discovery. Featuring complete workflows, they will inspire chemists to get more out of our research solutions. Read about the potential of personalized medicine, the power of in silico profiling and big data, efforts to overcome antibiotic resistance, and more, in our exclusive collection of white papers and articles. In these interviews, researchers at pharmaceutical and biotechnology companies of all sizes discuss how Reaxys and Reaxys Medicinal Chemistry have helped them in their efforts to bring new drugs to market. As a developer of lead compounds, Hager Biosciences needs reliable access to accurate medicinal chemistry and synthesis data. As a start-up, they need rapid research workflows to remain competitive. Dr. Bel Mekonnen, CEO of Hager Biosciences, considers Reaxys and Reaxys Medicinal Chemistry perfect for his company's needs. Modern data-driven drug design utilizes all the layers of information to create predictive models that select substances likely to have the desired effect on the phenotype. See how this approach is changing pharmaceutical development.